Quick breads are quintessential favorites for cooks with full schedules. Unlike yeast-based breads, these baked beauties take little time to prepare. 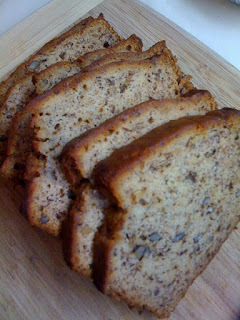 Yummy quick breads may be made with whole wheat, white or other flours. Popular choices include banana bread, beer bread, blueberry bread, chocolate chip bread, cinnamon raisin bread, corn bread, cranberry bread, lemon poppyseed bread, pumpkin bread, zucchini bread and more. 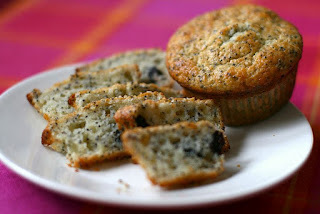 Most muffins also fall into the quick bread category. Looking for recipes for quick breads? Try these delicious quick bread recipes from this batch of food writers, and enjoy the amazing aroma that fills your home! Here are some of favorite quick bread recipes. These home-baked breads are great to make for holidays and parties. You can even freeze the loaves and serve them later. Need an easy gift for a bus driver, Sunday School teacher or a coach? Make a variety of holiday quick breads and finish several gifts with one baking session. This delicious traditional recipe, best baked after a family blueberry picking trip, has been passed down for generations. Every summer my family would visit my Grandparents, who lived 1,000 miles away. We would visit, sightsee and just enjoy a couple of weeks together. While we were there, I always enjoyed a few favorite treats. One was my grandmother’s zucchini bread. Great for an autumn party, Thanksgiving feast, or anytime! This healthy bread is so deliciously moist that I usually bake it in a bundt pan. What a yummy brunch offering, or even a dessert! The ratio for pour batters is approximately 1 cup of liquid for every 1 cup of flour. The most common types of pour batters are pancakes, crepes, and waffles. Beer bread is a Wisconsin favorite, but folks elsewhere enjoy it too. The crunchy crust and soft inside make this home-baked treat a family favorite. The alcohol bakes out, so Wisconsin Beer Bread is great for all ages. Everyone makes Zucchini Bread, why not try these delicious Zucchini recipes instead. Your family won't give you any trouble eating their veggies when they are added to these recipes. Violet's Yummy Crumb-topped Blueberry Muffins. If you've been reading the weekly installments of Helium's second serialized novel, Violet's in Bloom, you will have heard mention these amazingly yummy crumb-topped blueberry muffins. Who’s baking quick breads today? Mmm, I love quick breads!